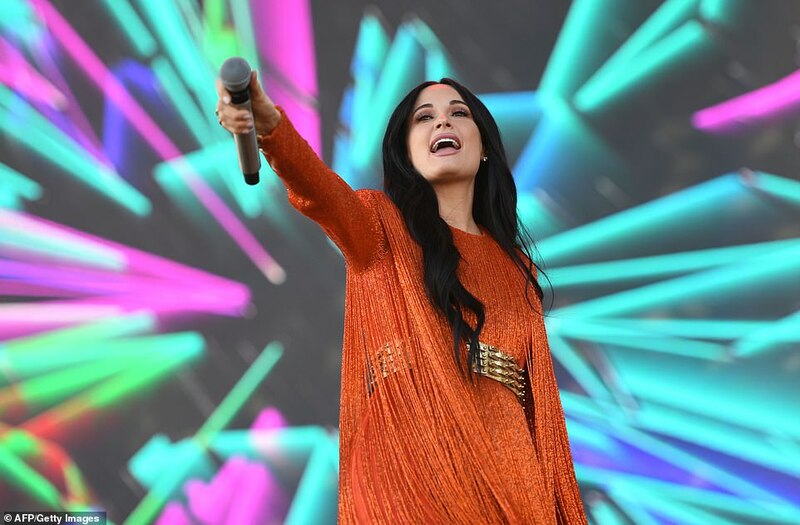 Kacey Musgrave brought down the house for her Coachella debut on Friday. 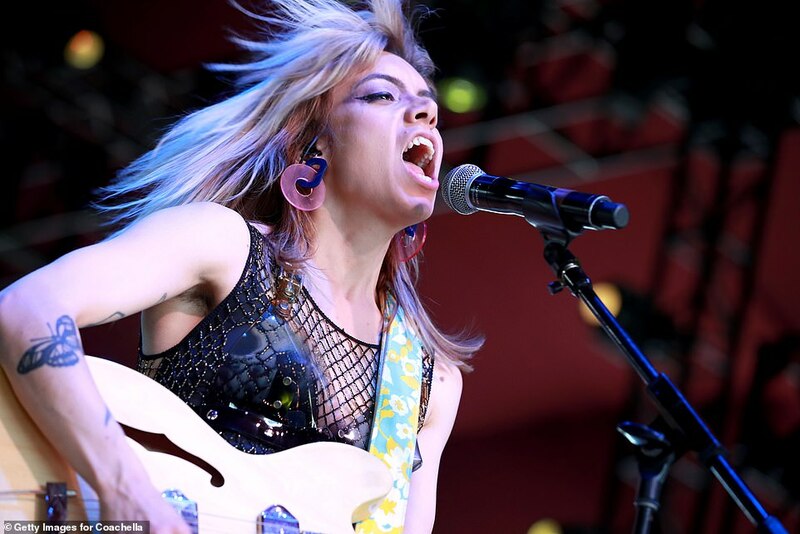 The country music star, 30, opened with her hit Slow Burn off her Grammy-winning album Golden Hour at the annual music and arts festival in Indio, California. 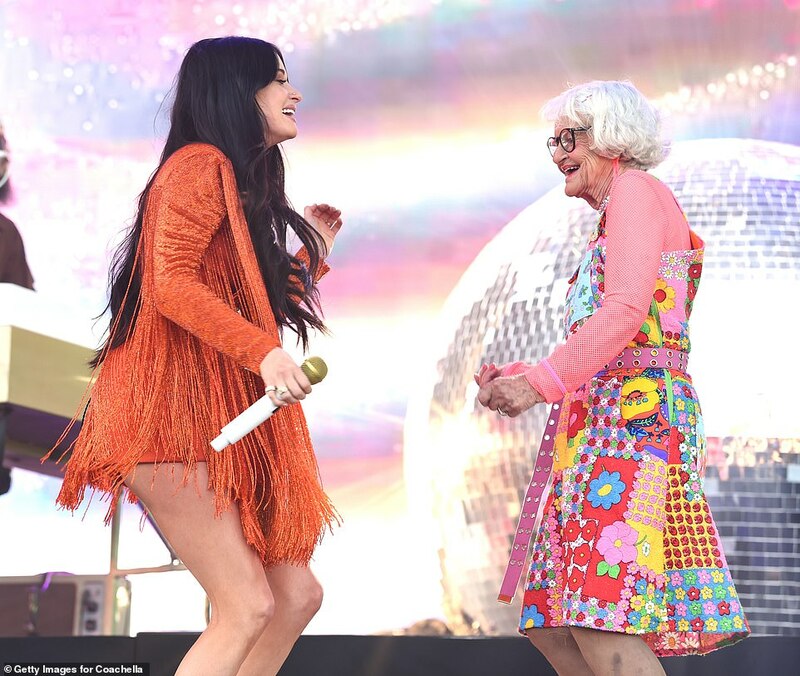 And what was sure to be one for the books, Kacey brought up 90-year-old Instagram star Baddie Winkle on stage to perform a two-step during the high-energy concert. Not only had the Texas-born beauty never performed at the popular venue, but she never attended as a fan either. ‘This is my first Coachella ever, never been. 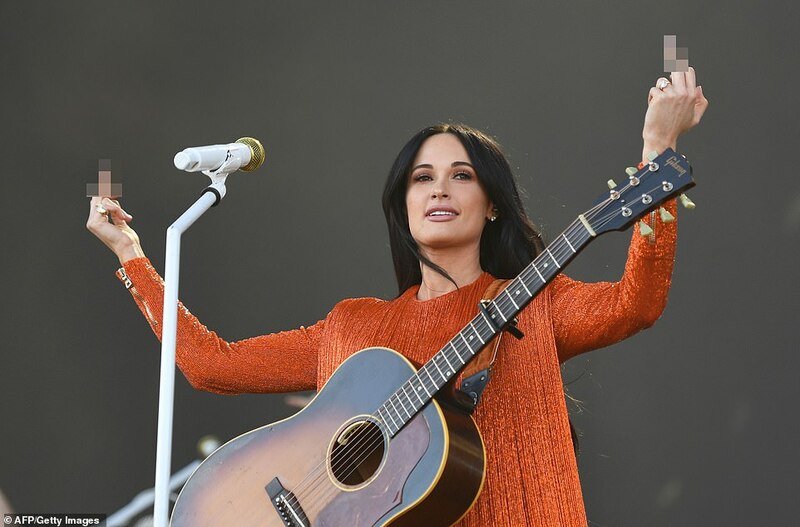 Needless to say, I’m very excited,’ Kacey told the audience. 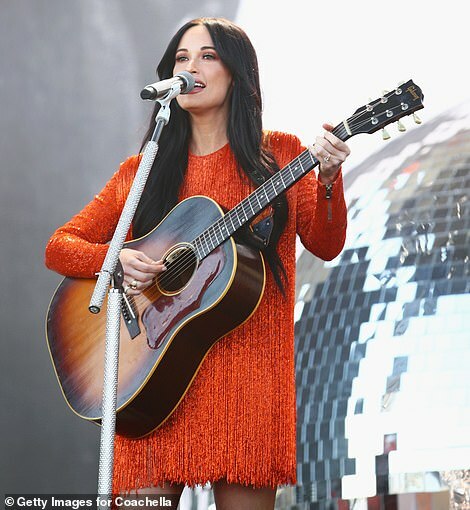 Kacey’s set list also included Butterflies, Lonely Weekend, Happy & Sad, Oh, What a World, Love Is a Wild Thing, Velvet Elvis, Rainbow and Die Fun. 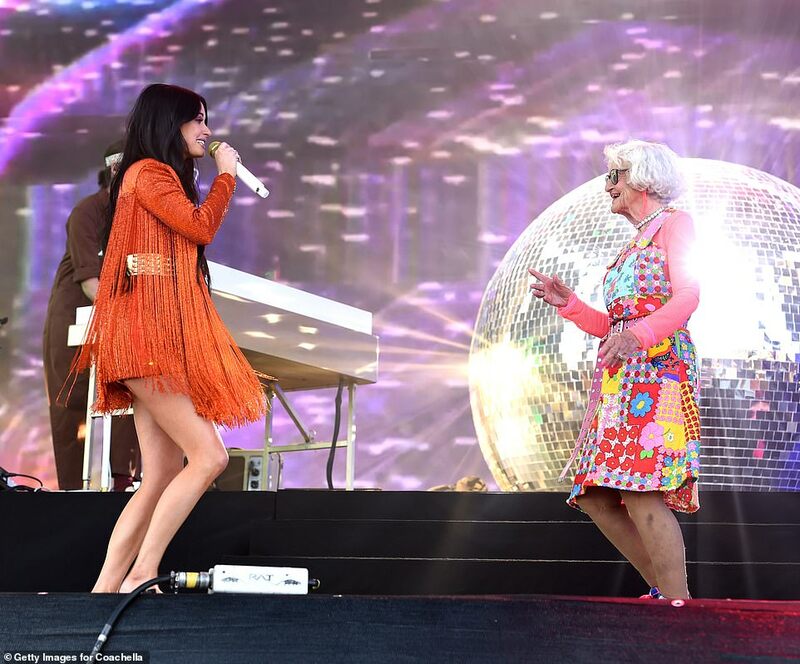 But the real showstopper happened when Kacey welcomed Baddie Winkle to share the stage. 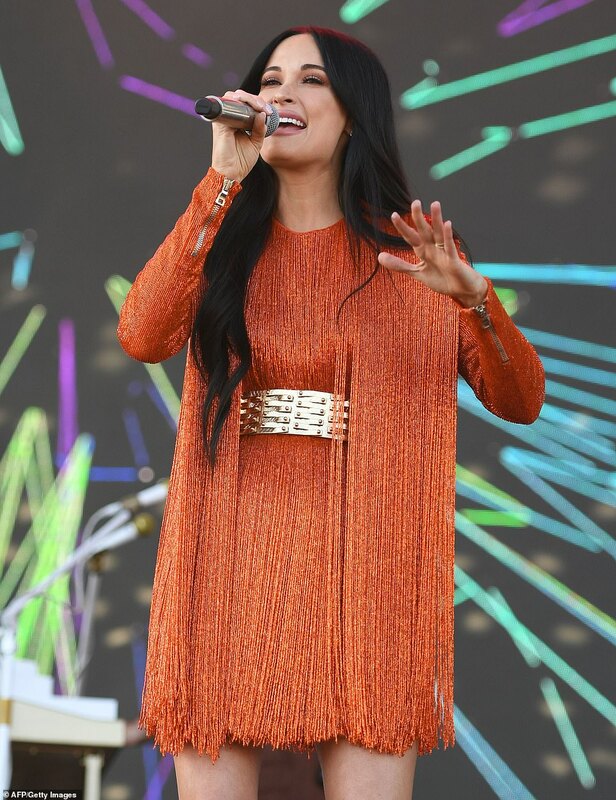 Baddie – who became an Internet sensation for her social media tagline ‘Stealing Your Man Since 1928’ – rocked an eccentric ensemble per usual as she shimmied next to Kacey who was clad in a chic orange fringe minidress. 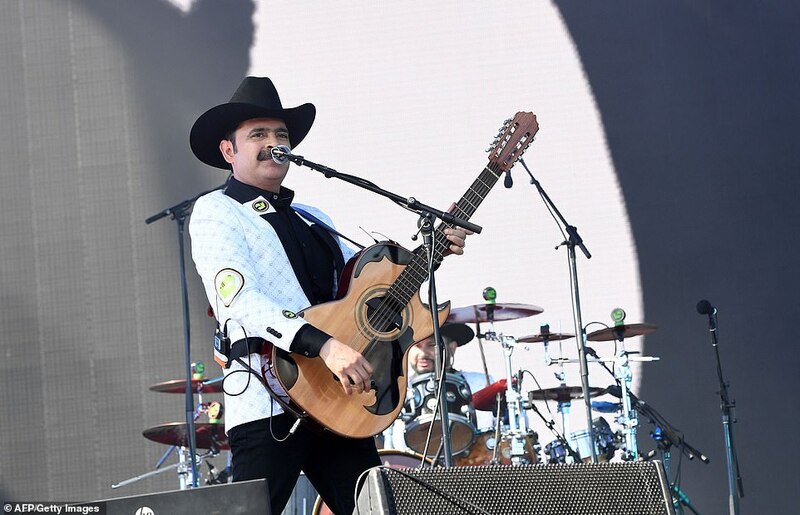 Meanwhile, the Coachella Valley Music and Arts Festival had more star-studded performances in line for the hungry fans. 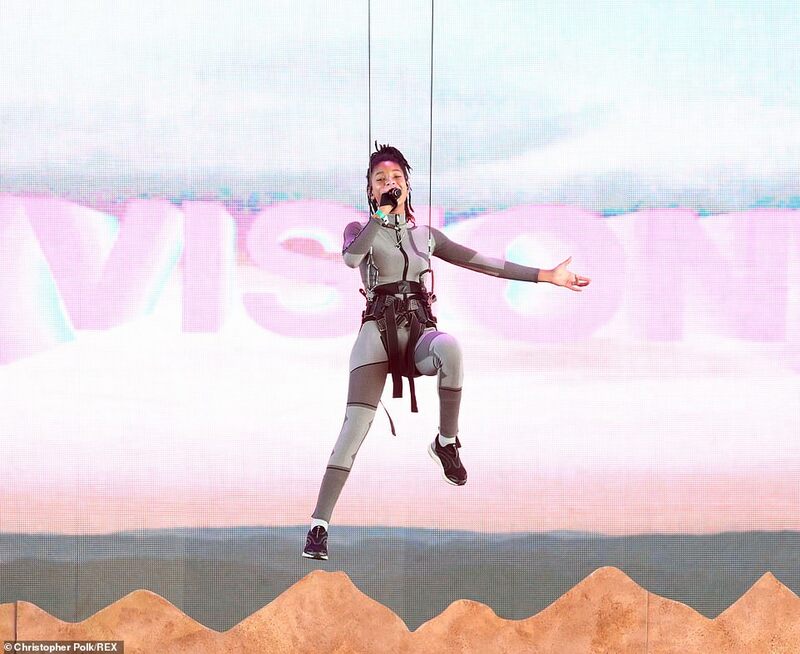 Anderson Paak and the Free Nationals take the Coachella Stage at 7:40 PM, followed by The 1975 at 9:35, Janelle Monae at 10:30 and Childish Gambino closing out the night on the main stage at 11:25. The Sahara stage will also feature Blackpink at 8:30 PM, Diplo at 10:15 PM and Nora En Pure at 11:30 PM. 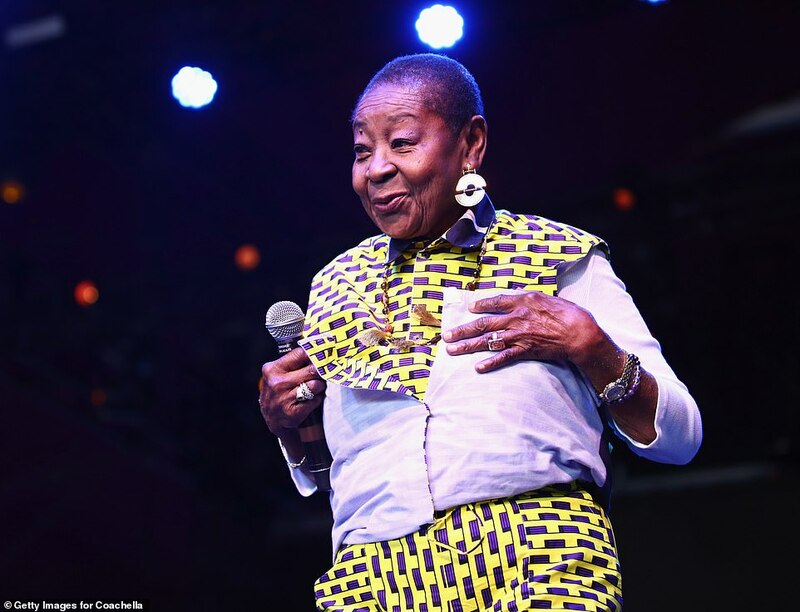 The Gobi stage will feature Calypso Rose at 6:30 PM, DVSN at 7:20 PM, Polo & Pan at 8:05 PM, Khruangbin at 9:35 PM and Charlotte Gainsbourg at 11:15 PM. 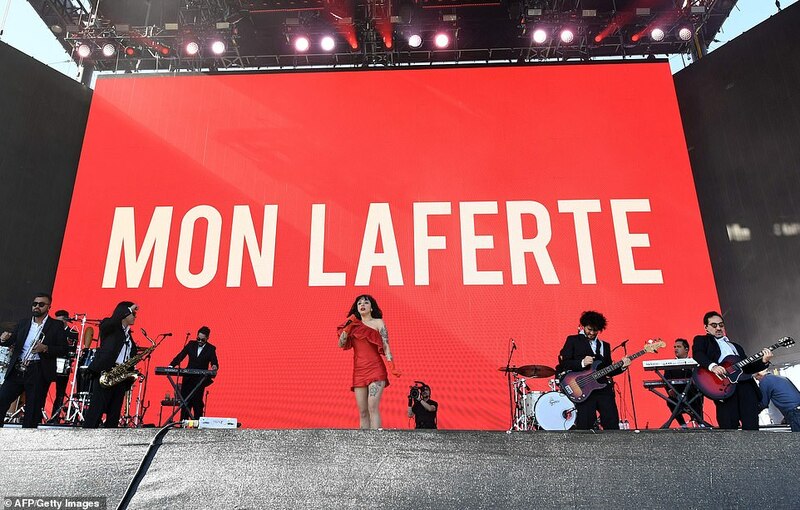 On Saturday, the Coachella Main Stage lineup kicks off with Gabe Real at 1:50 PM, Arizona at 2:45 PM, Mr. Eazi at 3:50 PM, Sabrina Claudio at 4:55 PM, Bazzi at 6:05 PM, J Balvin at 7:15, Weezer at 8:35 and Tame Impala at 10:35. Among the other Saturday late night highlights include actor/DJ Idris Elba spinning on the Yuma stage at 9 PM, with Aphex Twin playing at the Mojave stage at 9:05 PM. 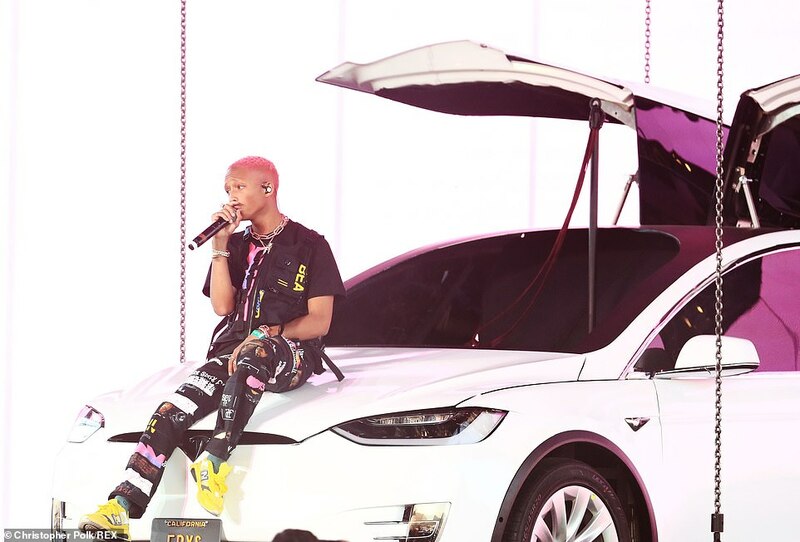 Newcomer Billie Eilish performs at the Outdoor Theatre at 9:30 PM with Wiz Khalifa performing at 10 PM on the Sahara stage, followed by Kid Cudi at 11:55 PM. 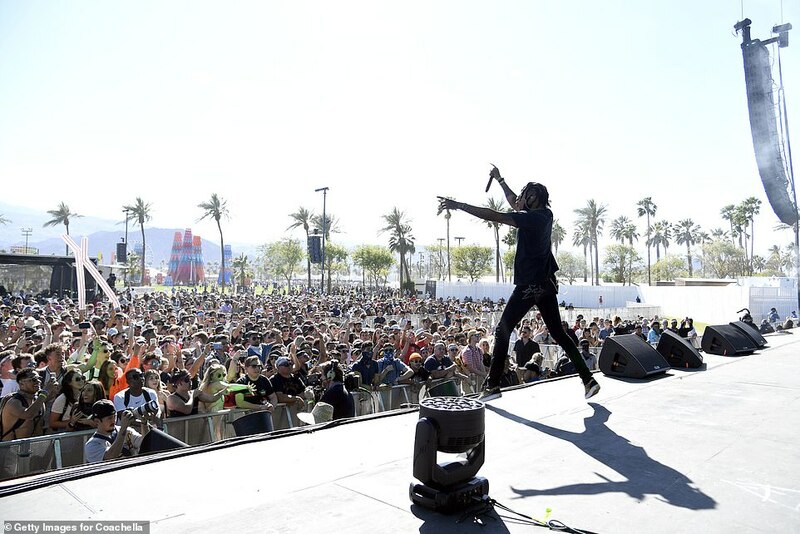 Sunday, April 14 features some of the biggest names of the festival, including Pusha T on the Coachella Stage at 4:15 PM, followed by Bad Bunny at 5:40 PM and Zedd at 7:10 PM. Khalid performs at 8:35 PM on the Coachella stage, with H.E.R. 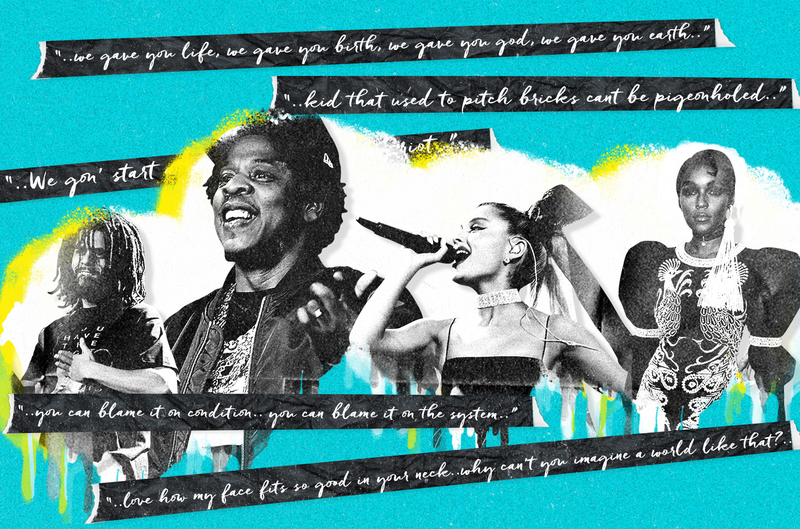 performing at the Outdoor Theatre at 9:30 and Ariana Grande closing out the night at 10:30 PM on the Coachella Stage. For Childish Gambino fans, along with his performance on Friday, there will be screenings of a film called Guava Island, which will be shown during the performance and there will be screenings on Saturday at 5 PM. 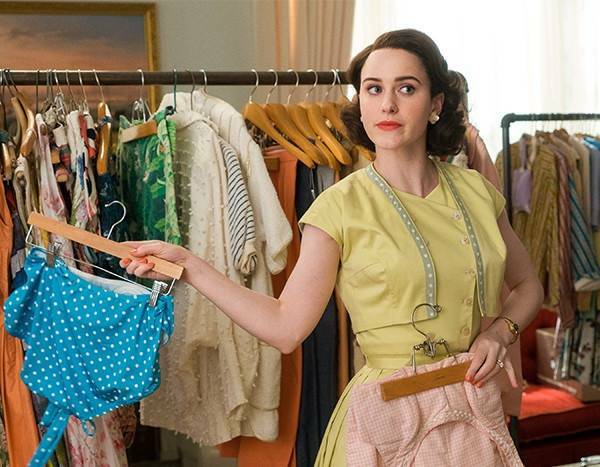 For those who aren’t at Coachella, the film will also stream on Amazon Prime as well.